Looking for the best Fishing trails around Cedar Rapids? Find the top rated fishing trails in Cedar Rapids, whether you're looking for an easy short fishing trail or a long fishing trail, you'll find what you're looking for. 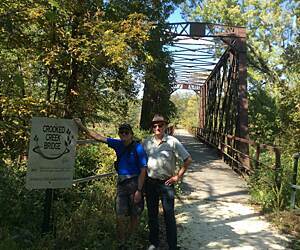 Click on a fishing trail below to find trail descriptions, trail maps, photos, and reviews. 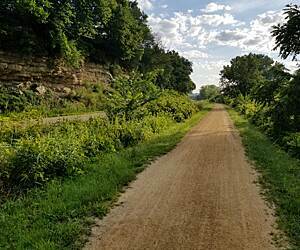 This is a short, crushed limestone trail located just north of I-80 at West Branch Iowa. I rode it on Thursday June 7, 2018. I wasn't expecting much but really enjoyed it. A big part of it is West Branch. What a delightful town. If you have time, stop and see the Herbert Hoover Presidential Library and Visitor Center. The trail is well used. There was a guy on a bike with pruning sheers taking out low hanging branches. Everyone was friendly. Be careful at the first road crossing out of West Branch. It's at a weird angle and it's a relatively high speed road. Other than that, just enjoy it. 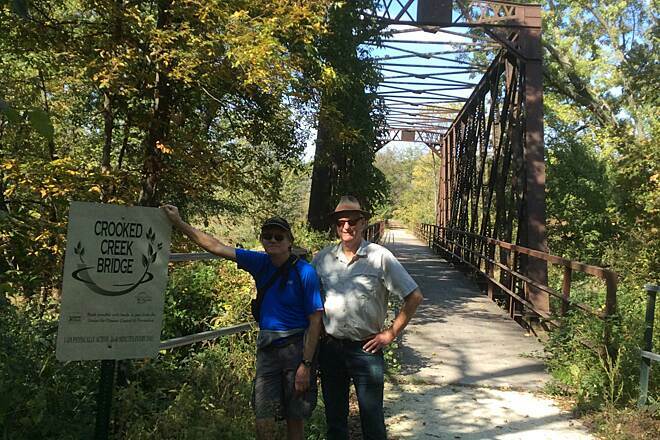 I ride trails in Kansas City, have ridden on portions of The Katy Trail, etc. this trail isn’t in as good of shape as The Katy Trail but it was good enough to have a great ride! I rode from Keota to Washington. The first day was a day after a storm and there were branches, vegetation and some mud spots. All part of a nature trail bike ride. The next day most of the vegetation, branches, etc were cleared. The trail was dried up and it was very good. It is mostly flat with small inclines and declines. Great ride! I headed south from Evansdale toward La Porte City. It's a good trail in the fact that it's flat so I didn't have to struggle with lots of hills like some other trails around the Cedar Valley. However there is a part of the trail closer to Evansdale that is gone in which you have to take your bike on a little dirt path to continue riding. There is also a bridge out closer to La Porte City. I hope they plan on fixing these issues so that the trail is in better shape. I'm spoiled. This trail is about 2 miles from my home. I ride it every chance I get. 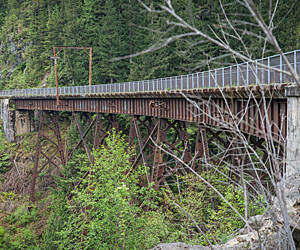 Scenery is varied and beautiful, the trail is maintained well, and I have seen a variety of wildlife on my rides. By the way, the trail connects with a trail that goes through Dubuque and down to the Mighty Mississippi River..
Great Trail! One of my favorites in the Coulees of the Missisippi. We rode this trail (with our trailer and little dog). Great surface. Great ride. Incredible scenery. I appreciate having the signs along the way about the history of the railroad and the area. It was interesting seeing the Sundown Ski area from the other side of the river. 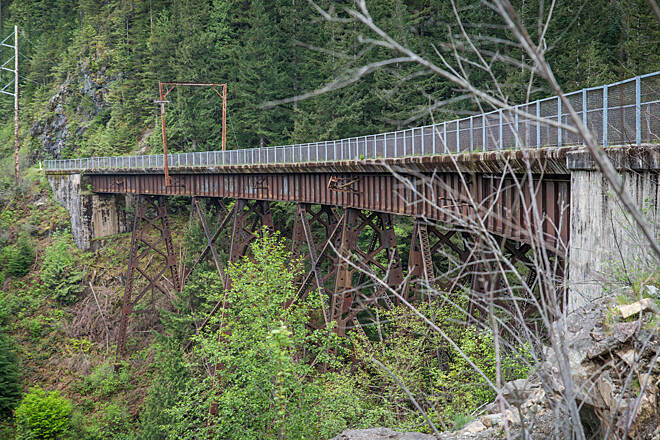 This is probably our third favorite rail trail after route of the Hiawatha and trail of the Coeur d'Alenes and one of the best the mid-western trails. You won't meet your Waterloo here! Rather you will have the time of your life. As a Blackhawk County expatriate, I have ridden trails across dozens of states, and these trails rank among the best. Also They are a tribute which resonates with Waterloo Parks legend---- former parks director Leonard Katoski. They intersperse throughout his visionary Greenbelt which divides Waterloo Cedar Falls. Rustic, quiet, partially abandoned, still enjoyable ! The Westernmost segment is about 3.2 miles long, somewhere in the middle there is maybe 50-75 yards of boggy (wet) grass from a spring, your tires may cut in a little. It's about .7 miles of surface roads to the Center segment, which is about 2.3 miles long. The Easternmost segment appears to have been abandoned. The TrailLink map shows the West end of this segment beginning at Alderman Rd, but, I don't think that the trail is accessible there unless you ride a fat bike and enjoy serious boon-docking. There -is- access to the Easternmost segment at Linn Grove Rd, (about 3.3 miles of Gravel roads from the East end of the Center segment), but, it's only passable going East, and then only for about .25 miles of nearly knee-high grass, until it dead-ends into a fence. 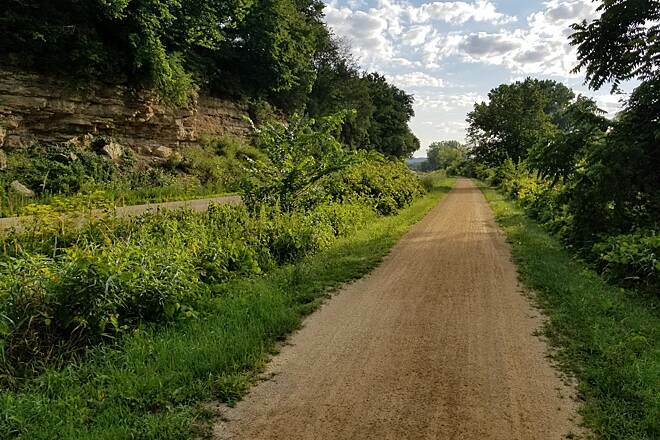 Our absolute favorite trail in Iowa. Iowas great secret! We went to "destination trail" in Minnesota the week before our 1st visit to Heritage Trail and I was afraid of being underwhelmed by a nearby Iowa trail.Wrong!This the Root River Trail,just on a smaller scale.It is a beautiful,scenic,historic trail and such a magical place.Durango is a great starting place going in either direction.A must do in our state! A different kind of ride. A great trail if you want to try a more primitive bike ride.I used a mountain bike and glad I did.This is mostly a grass trail with a gravel rut to run on,I saw a few walkers with dogs but no other bikers.It has great potential! Rode 1st 2 segments starting from Highway 13 going east and ran out time as I averaged about 8 mph because it's a little slower going.A cool change of pace from the normal Cedar Rapids paved trails! This is a great trail for novice riders, or those getting into shape. It's an old rail trail, so it's flat. It's very scenic and a nice ride. There is trail damage from a recent flood and a section near Waterloo is completely washed out. It's closed there, but you can get through if you can carry your bike. I did almost 27 miles and greatly enjoyed it!